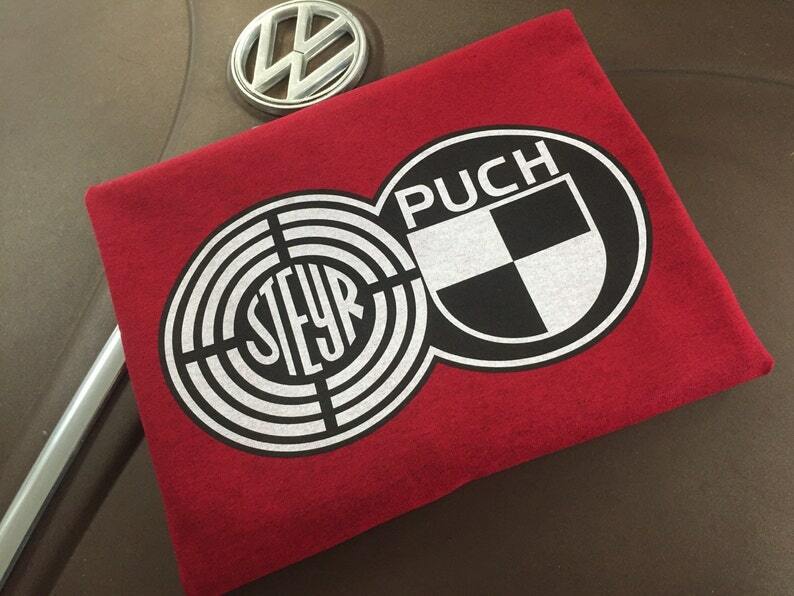 Volkswagen Vanagon Syncro Steyr Puch full front print on Antique Red 100% cotton T-shirt. Antique Red shirt with Black and White print on the front featuring Steyr Puch logo. These are made to order and printed right here in the Volkswear Garage. Sizes S-4XL. 13X17.5 print of Acrylic on Canvas Painting by my Wife Stacey of our 1965 VW Bus in Baja California. Volkswagen Van Art.